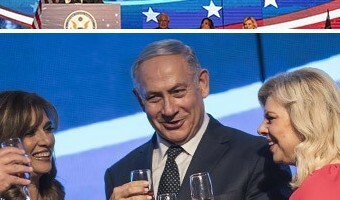 Benjamin Netanyahu July 4th Speech: Israel Has ‘No Greater Friend’ than U.S.
Israeli Prime Minister Benjamin Netanyahu lavished President Donald Trump with praise in his speech commemorating the Fourth of July Tuesday evening. Netanyahu and his wife Sara attended the special event held at Ben Gurion Airport in Lod jointly hosted by U.S. Ambassador to Israel David Friedman and the U.S. Embassy Jerusalem.“It’s a wonderful celebration of 4th of July anytime in Israel but this year it’s special. This year President Trump moved the embassy after declaring Jerusalem Israel’s capital. 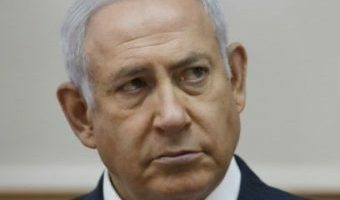 In the UN — a powerful defense of Israel day in, day out,” Netanyahu declared before turning his attention to the now-defunct Iran nuclear deal. “And you remember that Iran nuclear deal? Remember that? President Trump decided to leave this bad deal and he did the greatest thing for the security of the world and for the security of Israel. Now, you should know that this is not yet universally accepted. 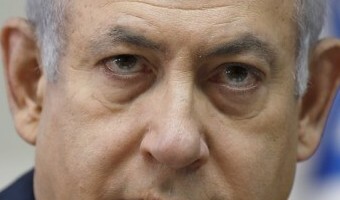 And I can tell you that … [Read more...] about Benjamin Netanyahu July 4th Speech: Israel Has ‘No Greater Friend’ than U.S.